While I like to find most of the books I read through recommendations online, once or twice a month I like to walk through the business and economics section of the bookstore just to get a feel of the general mood in the market. 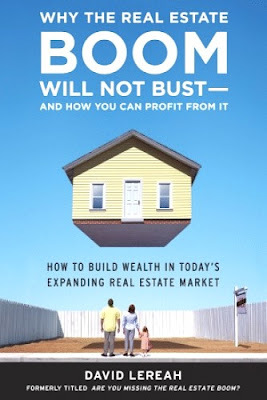 During the housing boom days there were up to six huge sections of real estate investing books, sometimes equal to the amount of all the other business, finance, and economics books combined at the store. 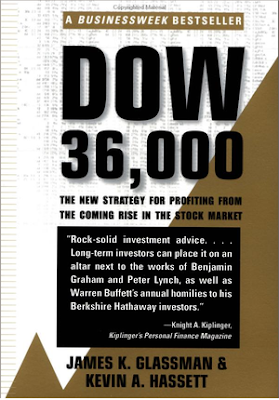 After the credit crisis there was an endless release of doomsday books on what happened and how we will never recover. Over the last two years there has been a new collection of "boom" books and how to make money in the "new growth economy." Essentially going to the bookstore, other than a few select forwarding thinking authors that I recommend here, is a review of what has happened over the past two years and may be the worst possible thing you can be reading. Rear view mirror reading. Today I came across a book that sums up the dangerous and borderline insane material that is now being placed on the bookshelf. 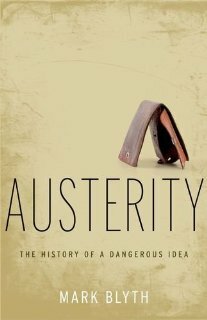 The book is called "Austerity: The History Of A Dangerous Idea." In the early part of 2012 I discussed how the Federal Reserve's reckless monetary policy combined with the United States government's reckless fiscal policy would be disastrous beyond the damage it does to the United States (which will be horrific). During this entire time Europe has felt pain. While this has been occurring they have looked across the pond to the United States (as has the rest of world) and watched as the economy appears to have recovered. They see the United States stock market soaring, they see real estate prices rising, and they see bond prices at an all time record high. This has occurred while the currency has strengthened. The danger of course (which is already beginning to happen) is that the European politicians will give in and let the European Central Bank monetize all the terrible investments across the European Union, just as the Federal Reserve is printing money to monetize trillions of toxic debt in the United States. Seeing the "economic miracle" in the United States, the U.K. and Japan are changing course and upping the dosage of the poison to their economies as well; more government spending and more printed money. It is the miracle drug that never has consequences, until it does. The argument against this is that without pumping this poisonous drug into the arm of the patient the United States economy would be in a much worse place than it is today. We would have reached a bottom. The malinvestments in the economy would have been cleansed. Balance sheets would have been healthy. Banks, not the government, would begin lending on real estate at much lower prices allowing new buyers to take on far less debt when they purchased. The cost of gasoline, food, medicine, and everything consumers purchase every month would be drastically lower. Those that saved their money, instead of recklessly investing it into bubble assets, would be rewarded with a large return on their investment every month with higher interest rates. Money would move into efficient sectors of the economy, instead of back into bubble assets like real estate and government driven sectors where investors today are just chasing yields. The United States would already be growing again. Real growth. Instead we chose to pump as many artificial stimulants into the economy as possible, and we have not even begun the process of healing the economy. We are not in the first inning of recovery. We are in the last inning of the bubble economy. The 70 year debt super cycle that politicians will not let cleanse. At the peak of this madness we now have "Austerity, The History Of A Dangerous Idea." And perhaps the greatest treasure of all released in 2005 by the head of the Realtors Association. "They see the United States stock market soaring, they see real estate prices rising, and they see bond yields at an all time record high." Bond prices are at all time highs, but not bond yields. Bond yields are at all time lows. Thanks for spotting that. *Changed* to prices.